Have you ever wondered what the people who land at your site do while they are there? No? You should. The right type of Analyst can use Analytics to tell you if you have a leaky sales funnel. At Shove we pride ourselves at being able to track down those holes in a websites conversion mechanism and develop strategies to plug them up. Just putting an Analytics package on your website isn’t enough you need to be able to be able to analyse those graphs and reports and track down the weakest parts of your website. Consultants at Shove do that day in and day out. 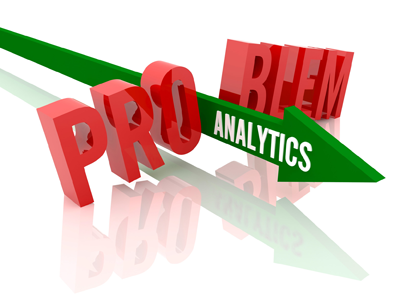 Here at Shove we have experience in not only Google Analytics but many other third party Analytics packages. We also are experts in many heatmap and user tracking plugins and software packages. These systems can show you exactly what an individual user is doing on your website. This is an amazingly powerful way of discovering just how committed each user is to your websites user experience. We pride ourselves on bringing an analytical approach to everything we do. With the right information there is no website that can’t be fixed and there is no problem that can’t be solved.